Set after the events of Captain America: Civil War, the country of Wakanda mourns the death of T’Challa’s father (their king). 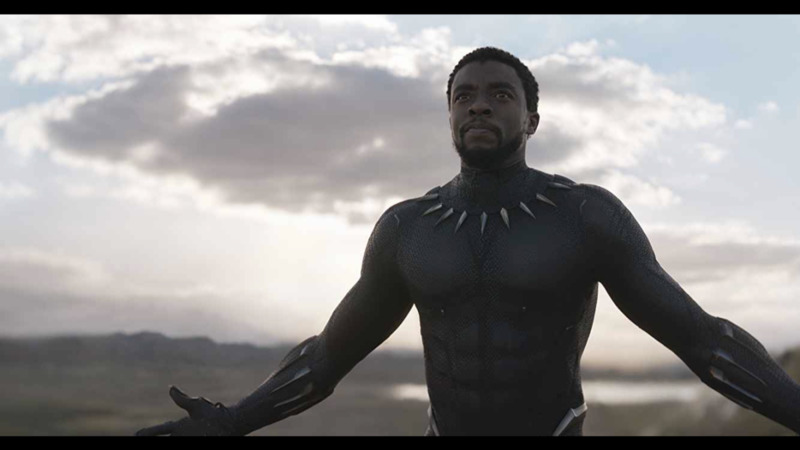 T’Challa (Chadwick Boseman) has returned home and it is now time for him to be crowned as king. With the power of the Black Panther and his sister, Shuri (Letitia Wright), creating innovative tech for Wakanda, T’Challa must decide what kind of king he wants to be for his nation. Does he do as his father (and every king before him) has done and maintain the secret of Wakanda‘s vast Vibranium resources, with tech that is decades ahead of the rest of the world? 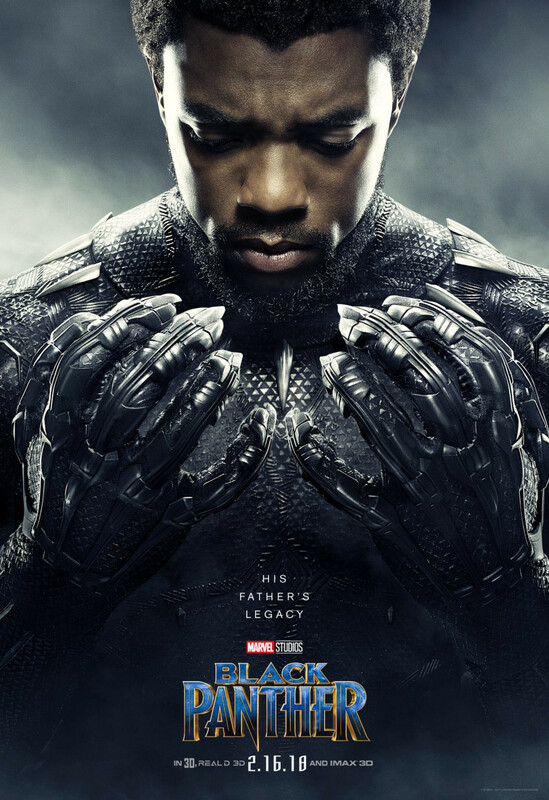 Does he expose Wakanda‘s secrets to help the brothers and sisters of Africa from poverty and discrimination while bringing the entire world into a new age of advanced technology? Sharing Wakanda‘s secrets does not come without risk, as doing so would surely make the country a target for exploitation, international crime, and terrorism. 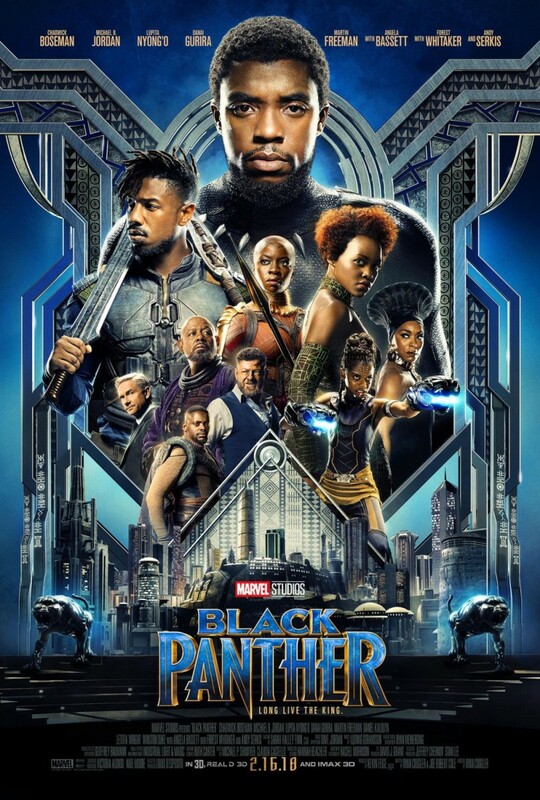 As T’Challa is deciding the future of Wakanda, Ulysses Klaue (Andy Serkis) makes a new ally, a young man named Erik Killmonger (Michael B. Jordan). Ulysses Klaue is a known terrorist of Wakanda while Erik Killmonger is a mysterious young man with a dangerous rap sheet. The two steal vibranium from a museum in the United States and, when he learns this, T’Challa sets out on a mission to stop Klaue and retrieve the vibranium before it gets into the wrong hands. Wakanda was so incredible to see on the big screen. The culture, scenery, and colors were absolutely fascinating. There are a bunch of tribes that make up the culture in Wakanda. Each tribe seems to have its own personality, specialty, and rich history. Any tribe can challenge the to be King, through combat, for the right to the throne. However, they all have tremendous respect for T’Challa. I was so fascinated by all of this and would love to learn more of these tribes and their differences. This movie only scratches the surface of the advanced tech in Wakanda but it was cool to see how this tech was used in this society. Then there is the scenery. 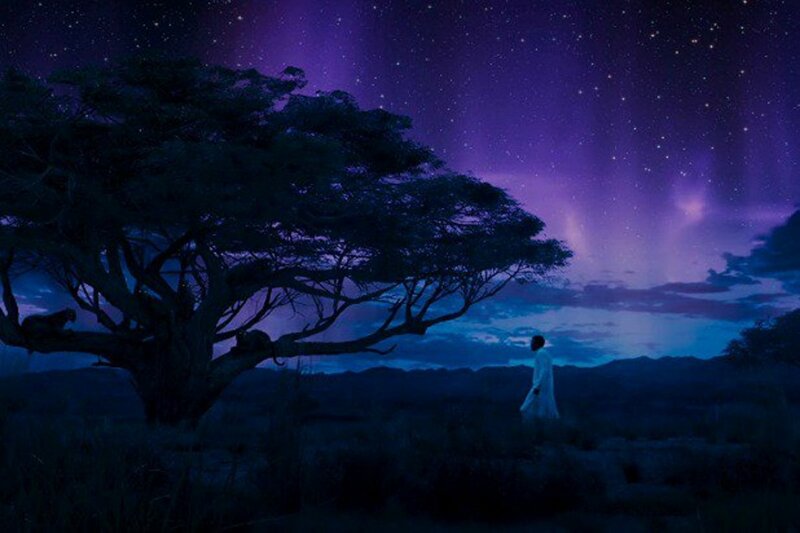 Wakanda is a beautiful place and would be an incredible vacation spot (if only it really existed). The sets in this movie were incredible to see. You could pause the movie at any of these locations, take a screenshot, and create a stunning wallpaper. This is made more breathtaking by all the colors that bring every scene to life. The filmmakers really went all out with this movie. 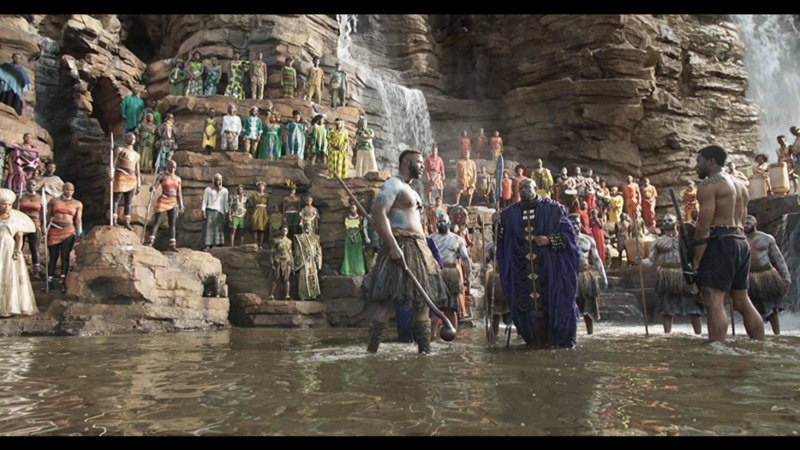 The sets and colors jumped off the screen and made Wakanda a fascinating place to see. I am really not a fan of making the villain a more sinister copy of the hero. The superhero genre has become synonymous with this. They did it with Iron Man and The Incredible Hulk, then they continued the trend right up until Black Panther. I will be honest, Marvel is not the only culprit here. The Flash has had roughly twenty speedsters in the series, to the point where it removes the spectacle from the titular character. I liked Killmonger a lot. His story was compelling and Michael B. Jordan did a great job, but the climax of the film ended up being somewhat uninteresting because the audience is watching Black Panther versus Black Panther. I have become tired of watching two identical characters fighting each other. We have seen this format way too many times before. What I want to see (and I feel like I am not alone) is the hero using their unique abilities to take on the villain who possesses their own unique abilities. I want to see something different and, in this specific area, Black Panther gave the audience more of the same. What did Marvel finally do right? They delivered a fascinating and well developed villain. 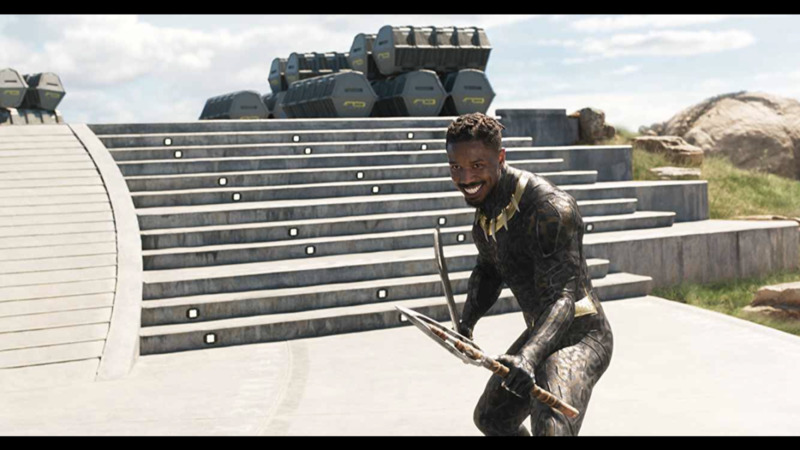 Erik Killmonger ends up wearing the Black Panther suit and, in doing so, creates an uninteresting climax. However, the character got a ton of compelling character development. I do not want to go into the details, but this guy has a grudge against Wakanda for a pretty valid reason. There is a lot more to this and it is really compelling to watch. I can honestly say I enjoyed the development of this character more than the development for T’Challa. T’Challa was cool to see again. We saw him briefly in Captain America: Civil War, but now we learn about who he is and where he comes from. We see him weighing his options as he decides what kind of king he should be. He is torn between using Wakanda’s resources to help the rest of the world and keeping Wakanda’s resources a secret to protect the nation. I thought this was an interesting story for the character, and it was fun to see how Erik Killmonger played into that. The movie could be split in half pretty evenly. It is almost like two movies. The first half was fascinating and unpredictable. Then there is a Klaue related event that happens at about the halfway point of the movie. After this, the rest of the story becomes pretty predictable. This is when we see the pay off of a lot of the rising action of the story. 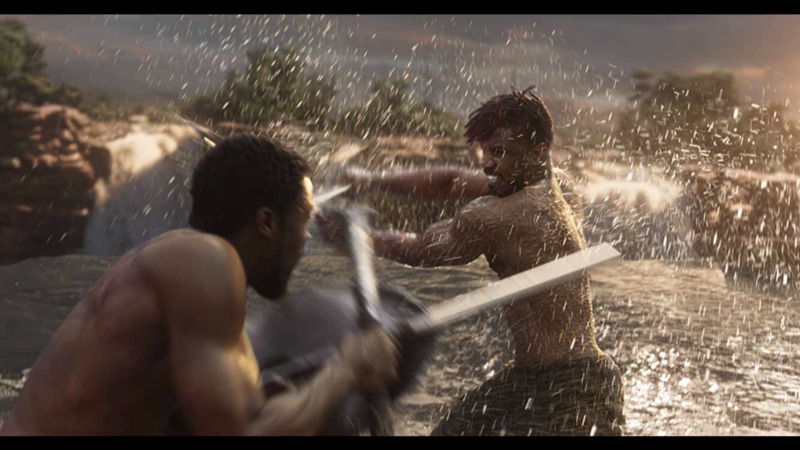 We see Killmonger meeting T’Challa, we see the fallout from that meeting, and we see T’Challa forced into deciding what kind of king he needs to be. After the Klaue related event, the rest of the movie plays out as you would expect. 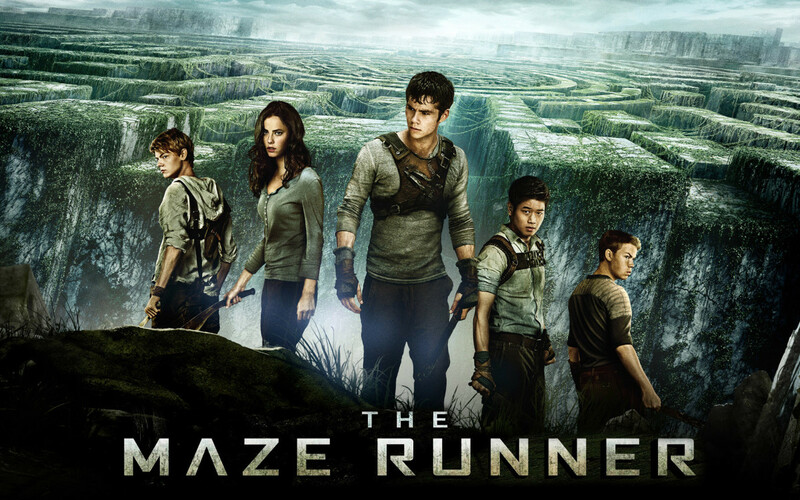 It is still an incredibly entertaining finish to a great movie, but it lost a bit of unpredictability. These three characters were awesome! 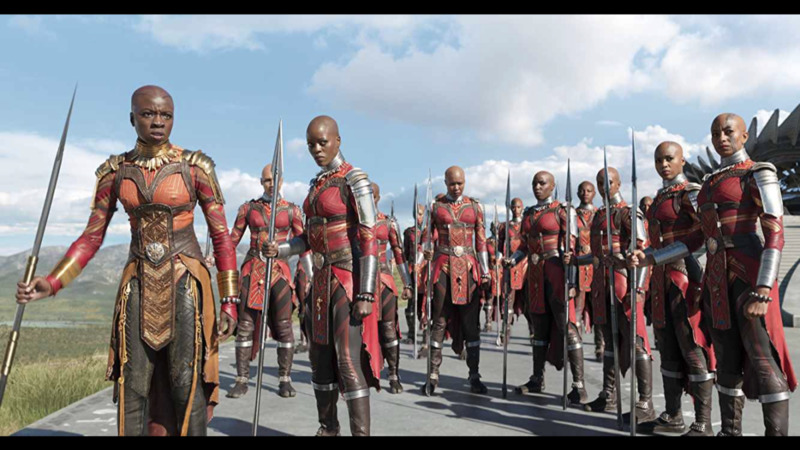 Nakia (Lupita Nyong’o), Okoye (Danai Gurira), and ShurI (Letitia Wright) were three strong willed and impressive characters. The women in this movie were not the focal point, but they were so much more than just love interests or damsels in distress. They were essential to the story and, were any of them not around, T’Challa would not have made it very far. Shuri is the comedic tech genius and T’Challa’s little sister. The banter between these two characters was a lot of fun, but this character’s tech was essential to the story. Okoye is essentially the head of the royal guard. She is a fierce warrior and sworn protector of the throne. Nakia is T’Challa’s love interest but she is also (essentially) the moral advisor for T’Challa, she is a great fighter, and a spy for Wakanda. 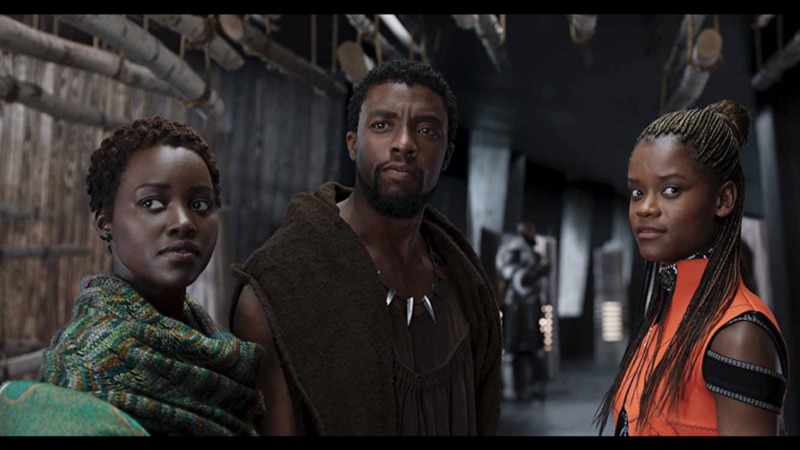 These three character‘s were essential in T’Challa’s survival and moral jouney. It did not hurt that they were also a bunch of badasses. I want to start by saying that I like these characters and the actors playing them. Unfortunately I thought they were handled poorly in this movie. Let me first address Everett K. Ross (Martin Freeman). This character was completely unnecessary and irrelevant to the plot. It felt like he was forced into this movie simply to provide another familiar face to the movie (and making it feel more tied into the Marvel Cinematic Universe). 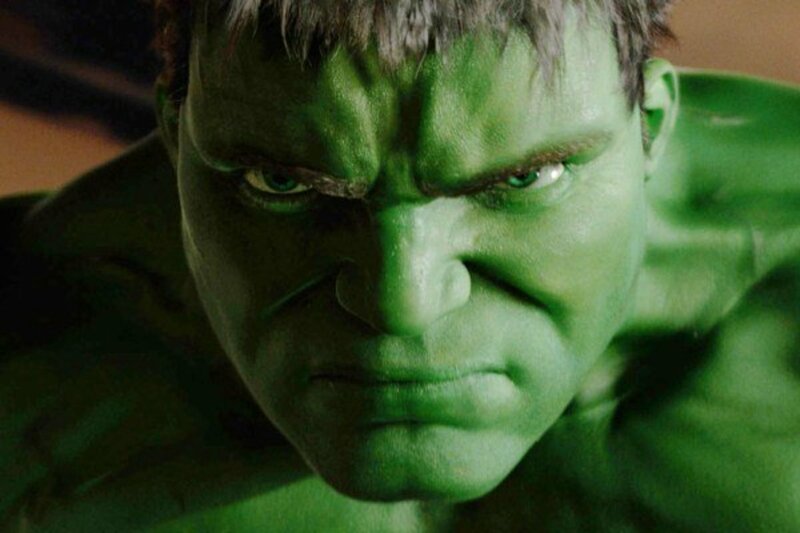 He ended up just feeling unnecessary and took time away from other characters, like Ulysses Klaue (Andy Serkis). Ulysses Klaue was severely under utilized in this movie. He is a major comic villain to Black Panther and he is a major enemy of Wakanda in the movies. 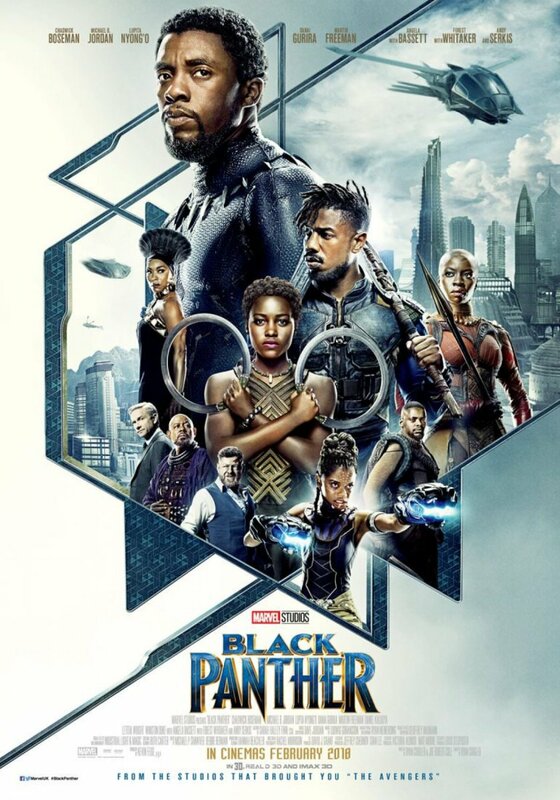 In this movie, he takes a back seat to Killmonger. I loved that Killmonger was the focus here but if Ulysses Klaue was not the main focus, why put him in here at all. They made the character feel less important as he did not really do anything noteworthy in the movie. 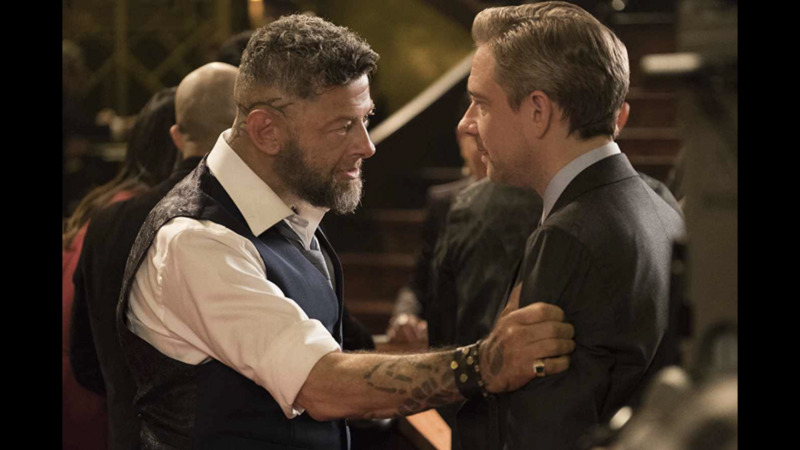 Andy Serkis and Martin Freeman are always fun to watch (this movie is no exception), but they were not necessary to the story and the time spent on these characters should have been spent further developing others. Black Panther was such a great movie. It has awesome superhero action set to the beautiful country of Wakanda and featuring some fascinating characters. Yet again, Marvel delivers a visual masterpiece with this movie. The country of Wakanda looks like a fascinating place, largely due to the amazing sets where the events of the film take place. I absolutely loved the culture that was in this movie but the characters were the best part. We had T’Challa, a new king deciding the future of his country and his role as its leader. We had Erik Killmonger, a young man with a valid grudge against Wakanda who is on a warpath against those responsible for his misfortune. Both of these characters got strong character development that was fascinating to watch. Who should be the ruler of Wakanda?